Knowledge workers in 2040 will be in complete control of where, how and when they work, according to a report by Johnson Controls Global WorkPlace Solutions. 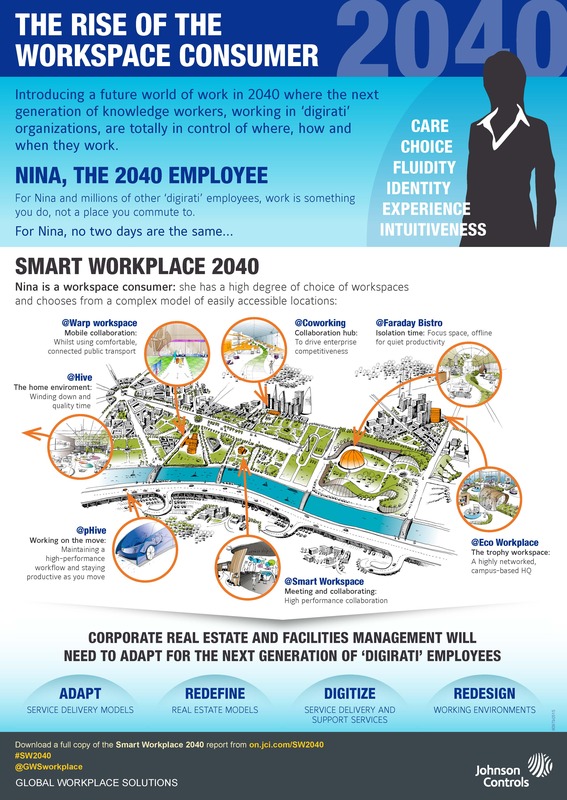 Smart Workplace 2040 envisages a world in which personal choice dictates individual working patterns and people have access to a range of co-working facilities near their homes. It says campus locations that offer a mix of facilities will be the norm, while access to a workplace will be a luxury that provides an “outstanding experience” for users. In this vision of 2040, most workers are self-employed, facilities are multi-purpose and offer a mix leisure, work, entertainment and sport. Much of this is fuelled by sophisticated technology, though the report says individuals will have the ability to shut down technology at the touch of a button and wellness will be an important focus. In this vision, the home will become the main place of work. However workers will have a broad choice of alternative work venues. ‘Trophy Workplaces’ will be offered to workers seeking highly experiential environments to meet and network with other individuals, making visits to the “office” a luxury and a form of reward. 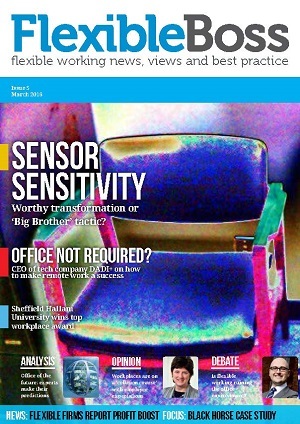 The report makes eight recommendations, including dismantling the fixed office hours model in favor of flexible working contracts, focusing workspaces on end users’ needs and enhancing service delivery to embrace a high human touch, while designing working environments that reflect new ways of collaborating across teams. It also suggests organizational transformations to improve the way dispersed teams work together, and the integration of ‘shy’ technologies to track activity, record experiences and respond to user demand. The report was peer reviewed in a series of three workshops in the US, Europe, and Asia-Pacific.